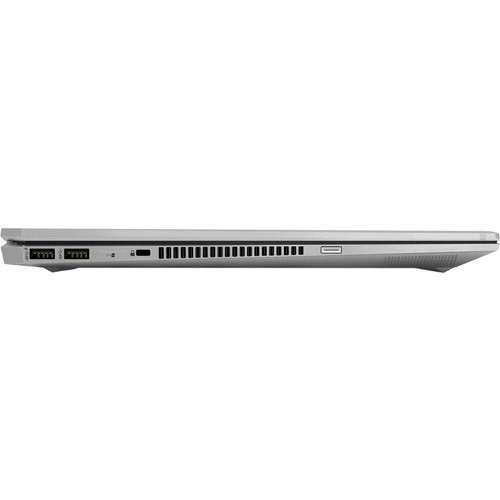 The perfect Professional ZBook, workstation grade laptop. 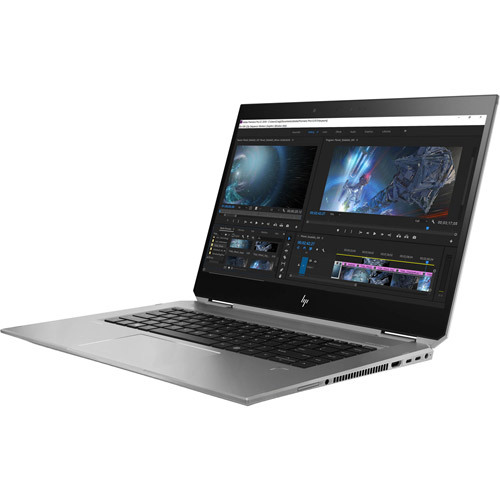 Ideal for all your Pro Imaging Applications, including ADOBE Suite and Davinci Resolve & Fusion applications, streaming and much more. 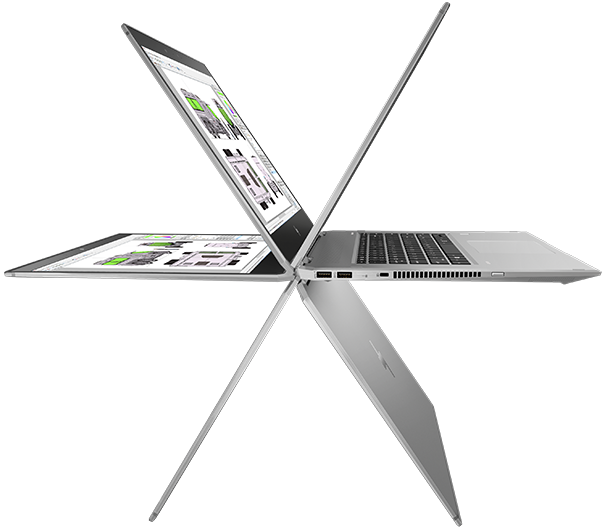 Get the perfect blend of performance with full connectivity (Quad I7, NVidia GPU, 2 USB 3 ports, 2 Lightning 3 ports, Full Size 4K HDMI, Mic/HP combi port & SD Card slot) in a stylish, ultra-slim design. 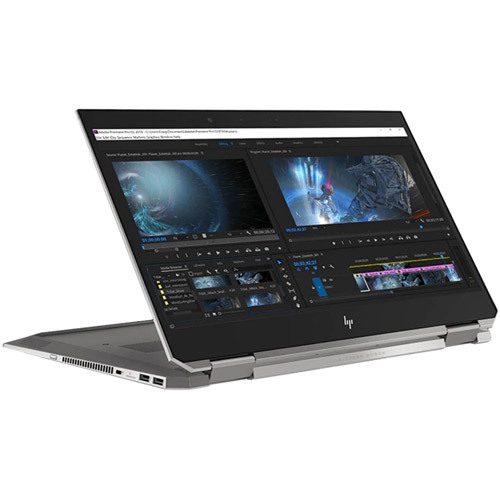 Finally, a convertible laptop designed to tackle large files and run multiple apps with speed and responsiveness. 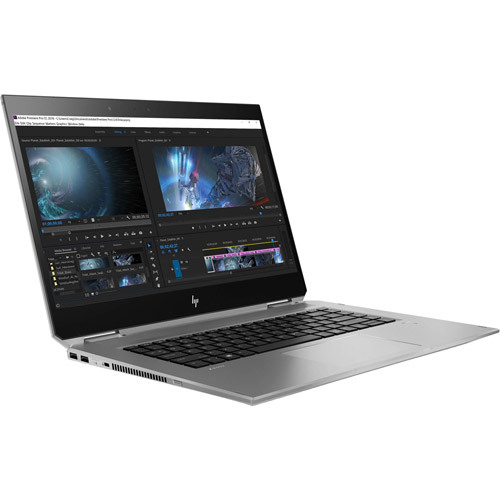 Seamlessly edit and render high-res images without delay, with NVIDIA® Quadro® P2000 graphics, 64 GB memory and Intel® Core™ i9 processors. Get remarkable inking precision with the Wacom AES pen – designed to feel like using a pencil on paper – natural and intuitive. 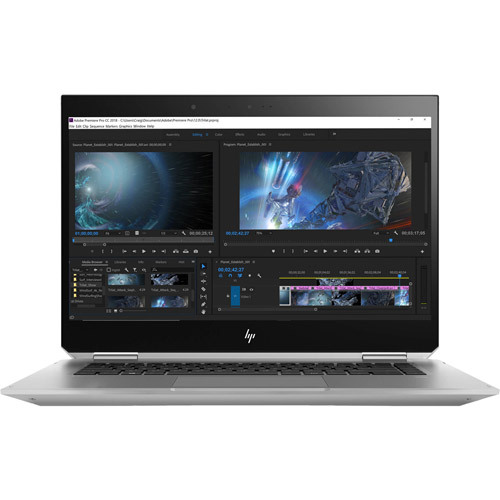 Perfect for heavy workloads with next-generation six-core Intel® Core™ i9 or Intel® Xeon® processors designed to handle complex, multi-threaded applications like Adobe Premier Pro. Create seamlessly. 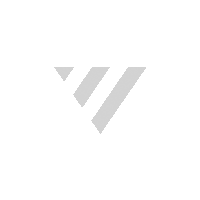 Save and access large files locally with up to 4TB local NVMe storage, up to 21 times faster than standard HDD storage and six times faster than SATA SSD. 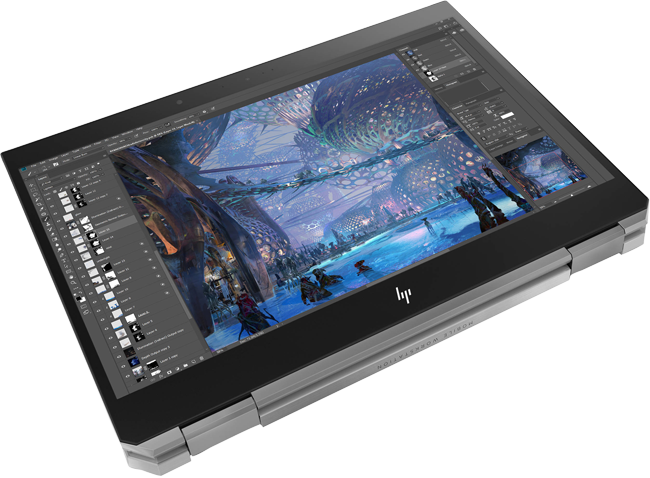 With HP's innovative 360-degree hinge, you'll get the comfort of a laptop, the convenience of a tablet and the luxury of additional modes to help showcase your designs. 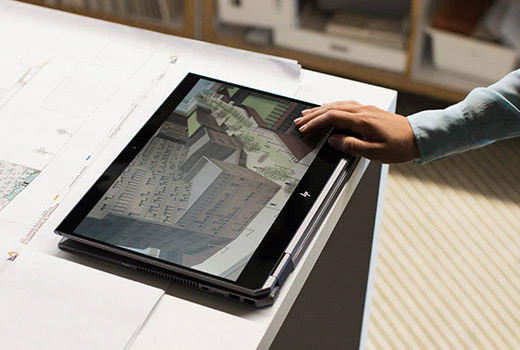 matte touchscreen - 20% brighter than Apple MacBook Pro and 50% brighter than Dell XPS. 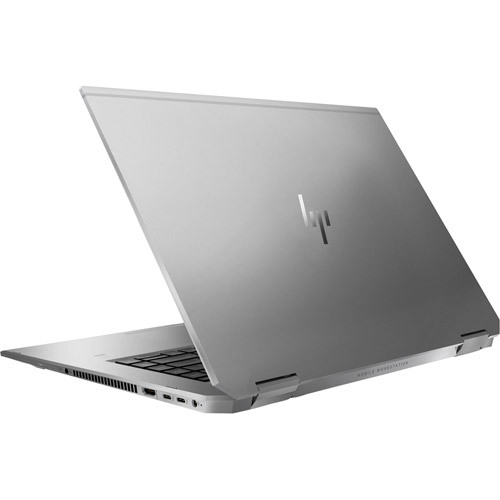 Take your work on the road with up to 16 hours12 of battery life for maximum productivity. When you need it, recharge ultra-fast (50% in just 45 minutes). 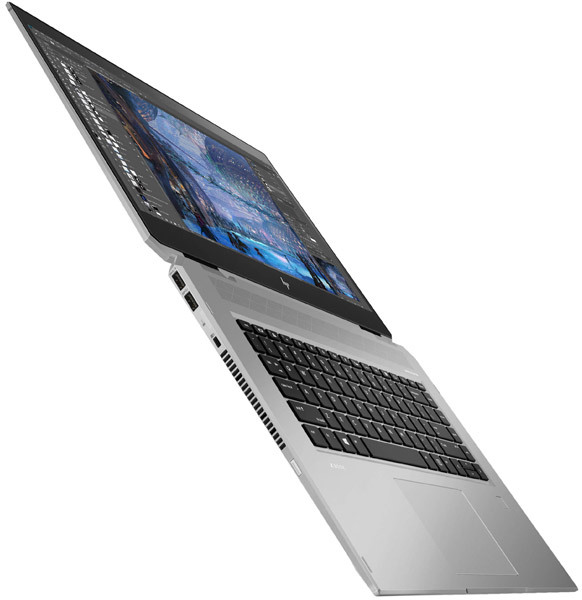 Host virtual meetings with the HP Collaboration Keyboard, HP World Facing Microphone and optional web cam. Get premium audio with 4 speakers tuned by Bang & Olufsen & a discrete amp. Be productive in any situation. 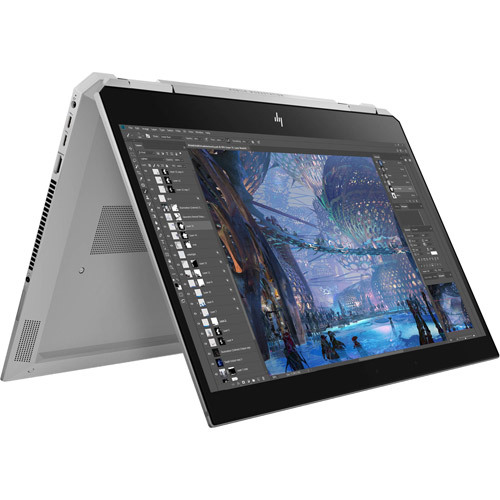 Windows 10 Pro and powerful security, collaboration, and connectivity features from HP help you power through your day on the HP ZBook Studio x360. 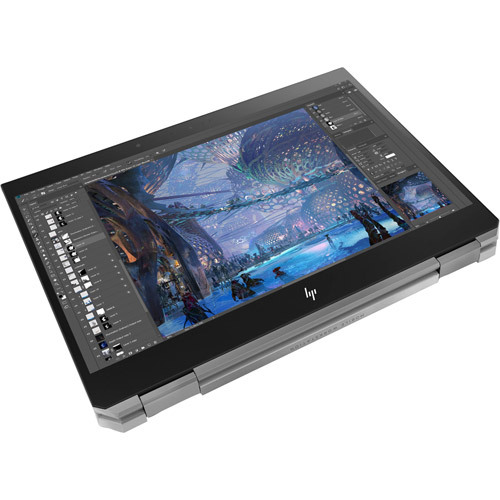 Create on the go with the professional Wacom AES pen featuring 4K pressure sensitive levels, tilt and two customizable buttons. Take your work outdoors with the anti-glare touch display and built in ambient light sensor that dims or brightens based on your surroundings. 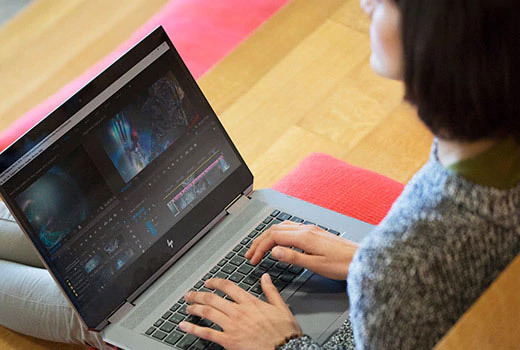 Do more at once with next-generation six-core Intel® Core™ i9 or Intel® Xeon® processors designed to handle complex, multi-threaded applications like Adobe Premier Pro. 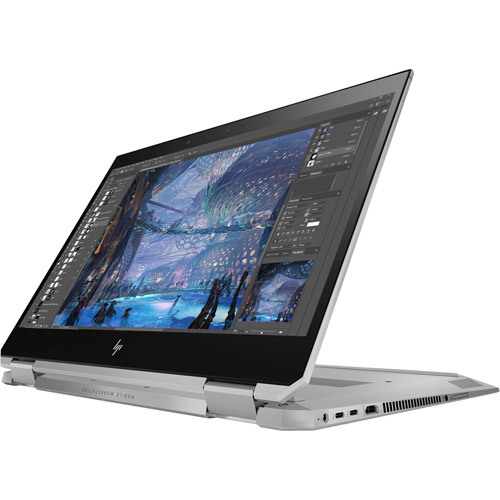 Protect your work with HP Sure View that activates a privacy screen at the touch of a button and RAID 1 that keeps a backup copy of all your files in case you ever need it. 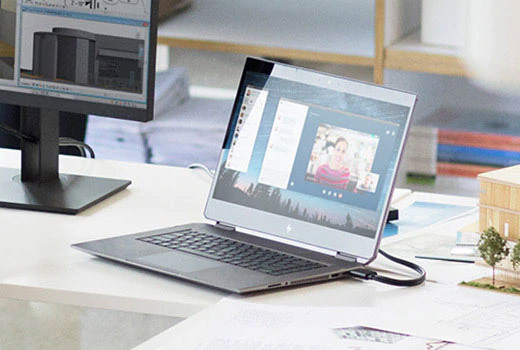 Host virtual meetings with the HP Collaboration Keyboard, HP World Facing Microphone & optional web cam. Get premium audio with 4 speakers tuned by Bang & Olufsen & a discrete amp. 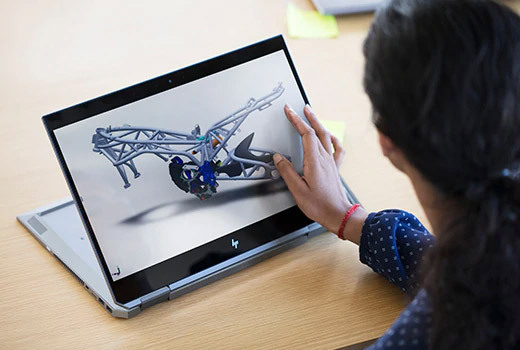 Confidently take your work anywhere knowing your HP ZBook Studio x360 was built for 24 x 7 x 365 workloads and passed 14 rigorous military standard tests like shock, drop and dust. Accidents happen - which is why we designed our minor spill-resistant full-sized chiclet keyboard with a chemically strengthened glass cover to help prevent wear and tear.